Each day, you have a choice. You get to decide what food will nourish your body. Diet choices have a significant influence on how you think, feel, look and act. More often than not, in the midst of modern life, these choices become one of convenience rather than one of consciousness. Food is your first medicine in Ayurveda. A good diet maintains good health while a bad one leads to disease. Although a good diet starts with good intentions, to turn those good intentions into a habit of wellness, your pantry must be appropriately stocked. Stocking your pantry is step one in creating wholesome, nutritious meals. Stocking an Ayurvedic pantry is an enjoyable and straightforward process, so no need to be intimidated if you are a beginner. Almost all the ingredients are easily sourced from your local supermarket, and only occasionally will you need to order something online or visit an Indian grocer. Most items are very inexpensive too. In fact, you may notice a reduction in your weekly grocery bill! Not only this, but Ayurveda offers a wonderful way to simplify your kitchen. When you have the right tools and stick with pantry staples, shopping and cooking become a breeze and far less time consuming. It's also empowering to know you are making conscious choices with your food and contributing to your wellness in an easy and manageable way each day. Once your pantry is stocked, you'll be ready to start your Ayurvedic lifestyle. As you transition your pantry to an Ayurvedic one, you'll start to notice some uplifting differences straight away. Most notably, packaged and processed foods are basically nonexistent. The focus is on whole, fresh, seasonal foods. You may also start to notice that you want to eat the food in your kitchen, instead of rushing off somewhere to grab a quick and uninspiring bite to eat. 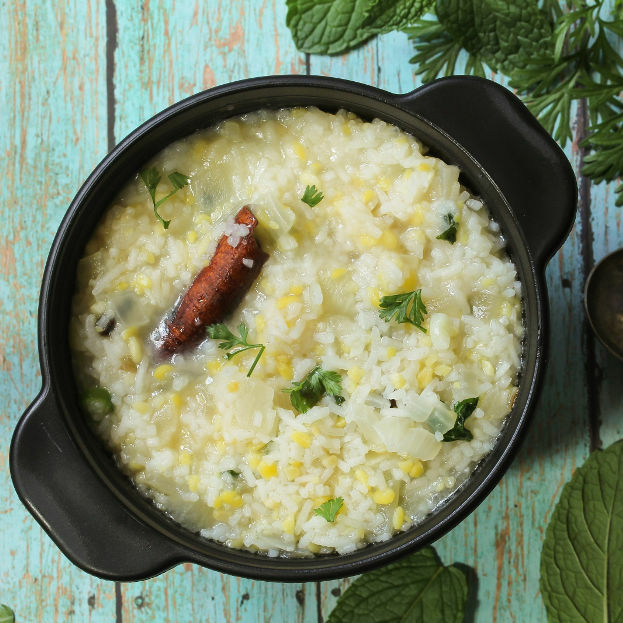 Ayurvedic cooking draws you in through all the senses. You'll have fun with colorful ingredients, a variety of textures, enticing tastes and fragrant smells. Each item in an Ayurvedic pantry is specially selected to ensure your body and mind receive the best quality nourishment. All so you can experience true health from within. Your new pantry will boast a variety of tastes, and this is no coincidence. Ayurveda promotes the inclusion of all six tastes in your meals, namely sweet, sour, salty, pungent, bitter and astringent. Each of these tastes has their own unique therapeutic role in the body: sweet cools and builds strength, sour moistens and stimulates digestion, salty brings flavor and soothes the nervous system, pungent stimulates digestion and burns toxins, bitter clears excess heat and cleanses the blood, astringent dries excess fluid and tones digestive organs. It's important to balance these six tastes according to your body type and not consume a diet excessively rich in any one in particular. For example, too much of the sweet taste will aggravate Kapha dosha, increase weight and the risk of developing diabetes. If your diet is too heating and pungent, this will increase Pitta and can damage the lining of the digestive tract. Eating mostly astringent foods is likely to leave you with dry skin and feeling constipated, aggravating Vata. Balancing the six tastes keeps the doshas in line and your palate satisfied. Taking certain items out of your pantry is just as important as putting new ones in. The first items to avoid are any products containing corn syrup. Corn syrup is a highly processed sweetener that you will find in many cereals, sodas, juices, condiments and candy bars. It has been closely linked to many health concerns, particularly inflammation. Another food that has no place in an Ayurvedic pantry is any type of hydrogenated oil. Hydrogenated oils are processed by adding hydrogen to extend the shelf life of the product, but renders the oil rancid. Examples include margarine and vegetable shortening. Hydrogenated oils are also found in most fried food and baked goods. They have an adverse effect on cholesterol levels by raising LDL (bad cholesterol) and reducing HDL (good cholesterol). Other foods to start weaning from your pantry are white sugar, refined flour, alcohol and caffeine. All of these foods produce a stimulant effect in the body and aggravate all three doshas. It is difficult to completely avoid processed and prepackaged food in modern life, but it is important to moderate your intake and check the labels to avoid the above ingredients. There are a few items that every Ayurvedic pantry should have on hand at all times. These are your 'must haves' and should be topped up regularly to ensure you can always prepare a suitable meal, even if your grocery day is still a while away. Ghee is possibly the most important ingredient to keep stocked in your Ayurvedic pantry. Ghee is made from butter that has been heated to a certain point. In this process, it is purified as the difficult to digest milk solids are separated and removed. What remains is pure, golden ghee - it has the comforting taste of butter without the heaviness of dairy. It can be used like most other oils for baking, roasting and frying, but it is much more than a simple cooking oil. Ghee is highly revered in Ayurveda for its medicinal properties. It acts as an herbal carrier, transporting the benefits of herbs efficiently through the body. It is cleansing, anti-inflammatory and acts as a nutritive tonic helping you build strength. It simulates digestive strength (agni), promotes immunity and vitality (ojas) and nourishes the nervous system and the brain. It has one of the highest smoke points of oil, about 485 F.
Basmati rice is the grain of preference in Ayurvedic cooking and it is known as the king of all rices. Sweet, heavy and cool, it is grounding and nutritive. Basmati is very easily digestible in comparison to other types of rice and is a welcome break for your digestive system. It is also known as a sattvic food, meaning it imparts light and clarity to body and mind. Mung beans are the most important legume to have in the kitchen. Dry, light and easy to digest, they are utilized for their cleansing properties. Their astringent taste tones the digestive organs and helps purge mucus from the bowels. They have a scraping effect in the body which draws out digestive toxins. Their light nature means they are useful for weight management while their cooling energy reduces inflammation. Coconut oil is the second best oil to have on hand in your pantry, after ghee. Sweet and cooling, it is also anti-inflammatory and adds a creaminess to cooking. This oil soothes an aggravated nervous system, boosts energy and calms an agitated mind. Limes are also a 'must have' on your shopping list. The juicy splash of sour lime atop your meals stimulates the secretion of saliva and digestive enzymes. It cleanses, cools and also stimulates the release of bile from the gallbladder, promoting efficient fat digestion and absorption in the small intestine. Plus, it adds a refreshing burst to many meals. By introducing some basic herbs and spices to your pantry, you'll turn your kitchen into an herbal apothecary. With these spices, you'll be able to create dosha balancing combinations for yourself, family members and friends. Ayurveda teaches that you are not only what you eat, but also what you digest and assimilate. You can have a perfect meal in front of you, but if you can't digest it, the nutrients are of little value. Cooking with spices will strengthen your digestive capacity and also make your meals tasty and desirable. Here are some of the most important ones to stock up on. Cleansing cilantro is suitable for all body types and is the perfect herb to add for some fresh garnish. A cooling digestive, it will balance a spicy curry dish. The benefits of turmeric are innumerable. This blood cleansing, toxin burning, anti-inflammatory root will brighten up and add color to your meals. Fresh ginger is one of the most well loved herbs in Ayurveda. Known as the universal medicine, it is a true panacea. You can grate it into meals or boil up as tea. However you like to have it, make sure you always have some fresh ginger in the house. Salt moistens the mouth and allows you to better experience the taste of your food. A good quality mineral salt like Himalayan rock salt is preferable over sea salt. Cardamom's versatility means it works well in both sweet and savory dishes. Its aromatic nature relaxes the body and cleanses excess mucus. Coriander, cumin and fennel seeds should also hold a regular spot on the spice rack. These three seeds are a powerful cooling combination to reduce inflammation, expel excess water weight and benefit digestion. Add to meals or brew up a cup of your own detox tea. Aromatic and pungent, cinnamon and cloves are both great to add to sweet treats or breakfast oats. They warm cold hands and feet, stimulate circulation and are expectorants, clearing mucus from the respiratory system. You may have difficulty finding hing in your supermarket, but you can purchase it on Joyful Belly. You only need a pinch or two of this bitter and pungent spice. 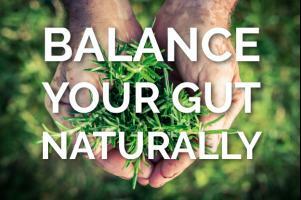 This is enough to help balance gut flora, kindle digestion and benefit breathing. Hing is particularly useful in rendering beans easier to digest. 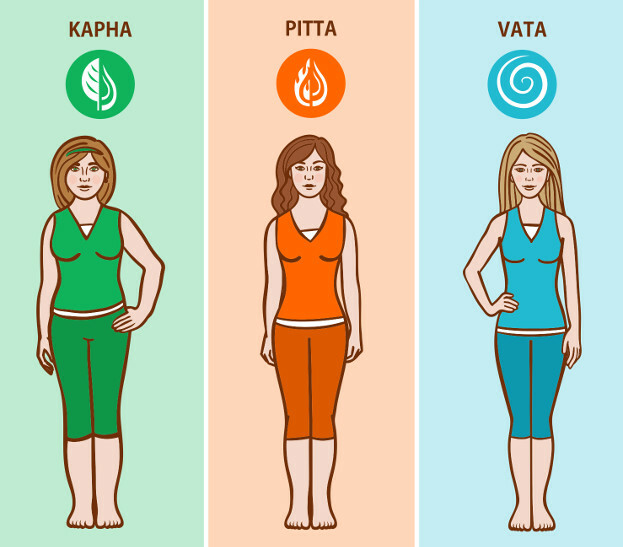 Generally, an Ayurvedic diet is personalized and takes your unique body type into account. Foods are classified by dosha, qualities (gunas) and taste (rasa) and are selected to work with your particular imbalance. For a diet specifically tailored to you, try our Personal Recipe Book. There are, however, a range of ingredients that are perfect pantry staples because they are mostly 'tridoshic', meaning they are suitable for all body types. This makes life even easier if you are shopping and preparing meals for your family or a group of friends. Grains provide fuel for the body and keep you feeling full. They are mostly sweet and heavy and will make sure you stay grounded. Favor whole grains if you can digest them as they have a higher fibre content and steadily release energy. Grains stay fresh for a maximum of six months, but it is essential to store them in a clean, dry and airtight container. Pick one or two per week from basmati rice, amaranth, barley, oats and quinoa. Some grains are heavy and slow digestion down. This selection above offers a lighter choice of grains that are easier to digest while still satisfying your appetite. Beans are a great source of plant protein for those following a vegetarian or vegan diet. They must be cooked carefully or they will cause gas and bloating due to their astringent taste and dry quality (particularly in Vata types), so ensure to add digestive herbs and spices to beans such as fennel or hing. Dried beans will keep for about a year as long as they are stored appropriately, so feel free to buy in bulk. As mentioned previously, mung beans are the most superior in Ayurvedic cooking. For variety, mung, red lentils, chickpeas and tofu are also good pantry choices (*note that tofu must be stored in the fridge). Fresh and seasonally selected vegetables is where you can get really creative with your cooking. These add a range of vibrant color to your meals including deep greens, bright oranges, blood reds, sunny yellows and rich purples. Fresh is always best with vegetables, and they lose their vitality after sitting in the fridge for more than 3 days. Pick a selection of two to three vegetables, and purchase them every two to three days to get the best quality. Rotate veggies to ensure you are getting the variety of the six tastes you need. Some of the most appropriate to get you started are asparagus, bean sprouts, beets, cauliflower, fennel, green beans, kale, leeks, lettuce, okra, sweet peas, squashes, potatoes and zucchini. Fruits, like vegetables, provide color and variety in your diet. Pick a selection of four to five each week, and make sure to eat soon after purchasing. It's not always possible to eat organic foods, but fruits in particular are good ones to source (mainly because you eat the skin of many fruits which have come into contact with harmful pesticides). 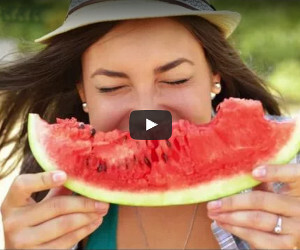 Most fruits are sweet, light and juicy and will keep you cool, cleansed and hydrated. Start with your favorites from blueberries, apples and pears (best eaten cooked), dates, red grapes, lemon, lime, peach, mango, pomegranate and soaked prunes and raisins. Remember the Ayurvedic food combining rule that it is best not to combine berries, melons or dried fruits with other fresh fruits in the same meal. Animal proteins are usually heavy and anabolic in nature, supporting healthy tissue growth, development and repair. It is recommended not to overindulge on difficult to digest red meat. Some of the more sustainable options to have in the fridge are chicken, turkey, freshwater fish and eggs. If you can, find a good butcher with locally sourced organic meat and purchase once or twice each week. It is especially important to be sure all animal products are organic. Nuts and seeds are heavy, oily and dense. They can be a little hard to digest, but soaking them beforehand or blending them into a nut or seed butter makes it easier on your tummy. Nuts and seeds add texture variation and a nice crunch to meals, or are a sustaining afternoon snack. Sprinkle some pumpkin seeds on top of your lunch, or keep some almonds at your workdesk to curb afternoon cravings. Almonds, coconut flakes, pumpkin seeds and sunflower seeds are the most 'tridoshic' options. With dairy products, homemade varieties are desirable over their store bought counterparts. This is because store bought dairy (like yogurt) is heating, sour and can ferment in the stomach. Homemade yogurt, homemade buttermilk (takra), cottage cheese and organic cow's milk are the preferred dairy sources in an Ayurvedic diet. They nourish nervous tissue and build strength. Generally, there won't be any preservatives if you are making some yourself or buying organic, so be sure to enjoy when fresh. Everyone needs a little sweetness in their life, and trying to cut this taste out completely is virtually impossible. Sweeteners play an important role in Ayurveda for grounding the nervous system, building tissue and bringing contentment. However, processed sweeteners will have the opposite effect and often leave you in a sugar rush tail spin. Use some raw honey or maple syrup in moderation to satisfy your sweet tooth. Revamping your pantry is a great first step to starting your new Ayurvedic lifestyle. Removing the most unhealthy foods from your pantry is something you can do immediately - even today! 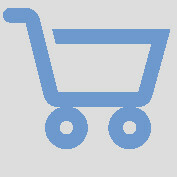 Then, as your budget allows, you can replace other items, adopting a slow and steady approach. After a short while, your pantry will be a model of Ayurvedic nutrition principles and you'll be able to create delicious recipes with complete ease. Not only will you see the benefits in the kitchen, you'll begin to feel the benefits in your own body. So many people are undernourished even though they are eating more than enough food. The modern paradigm favors quantity and convenience over quality. Ayurveda promotes just the opposite. Feed your body with high quality foods and you'll be rewarded with increased energy, efficient digestion and improved moods. With a little time, care and preparation, you can say goodbye to rushed dinners after a long day of work and haphazard meals thrown together on a whim. Experience true nutrition through your own Ayurvedic pantry. Discover how you can improve your zest for life using these simple, wholesome ingredients of an Ayurvedic diet. Questions, Comments & Impressions of 'stocking your ayurveda pantry'? Is there something you'd like to know about 'stocking your ayurveda pantry'?